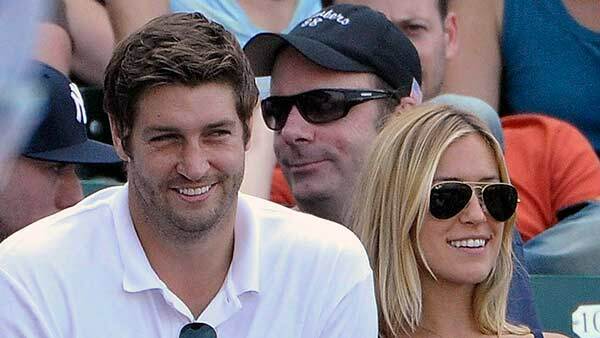 CHICAGO (WLS) -- Chicago Bears quarterback Jay Cutler is going to be a dad again. His wife Kristin Cavallari announced online she's pregnant with her third. They are already parents to two young boys: Camden, 2, and Jaxson, 1. Cavallari and Cutler were married in the summer of 2013. Cavallari starred in the reality shows "Laguna Beach" from 2004-2005 and "The Hills" from 2009-2010. Cutler has been the quarterback for the Chicago Bears since 2009. Cavallari revealed the exciting baby news Tuesday morning on her app, saying, "We're at it again! Thrilled to announce baby number 3 is on the way! The cutler crew just keeps growin'!"